Most Jamb aspirants regret after applying and gain admission into an institution of their choice due to institution environmental factors. This article we help you not to regret for choosing an institution in Nigeria. This article is not trying to scare you but that is the truth because most institutions are primarily targeted at the working class people and financial free families. 1 Residence: Some institutions in Nigeria has only conference hall, lecture hall, no hostels, and most of the houses close to the campus residence are of high rent and the less rent are situated in rural area. Note: Houses at the rural area can result in late attendance for lecture and danger in while coming back from lectures or night classes at dawn. 2. Lecture Time: Most institutions in Nigeria schedule her lectures in the evening time not considering the residence of most students in the campus. 3. Seriousness: If you know that you are not a serious-minded student please don't attempt applying for some institution in Nigeria Admission unless you want to waste your money and time. Almost all the institution in Nigeria maintains ZERO tolerance on exam malpractice and misconduct. There are no lecturers to bribe. You are always on your own. Many non-serious students never gone past the first year. 4. Social Activity: Institutions in Nigeria is dull in terms of student’s social activities. There are no campus fellowship, student union, departmental union, parties, talk shows ceremonies except matriculations and convocations. If you cannot do without social activities please ask question before you apply for some institution in Nigeria. 5. Finance: This has to do with tuition fees, acceptance fees, departmental dues, SUG dues, TEDC dues, practical manuals, textbooks/handout purchases and so on. 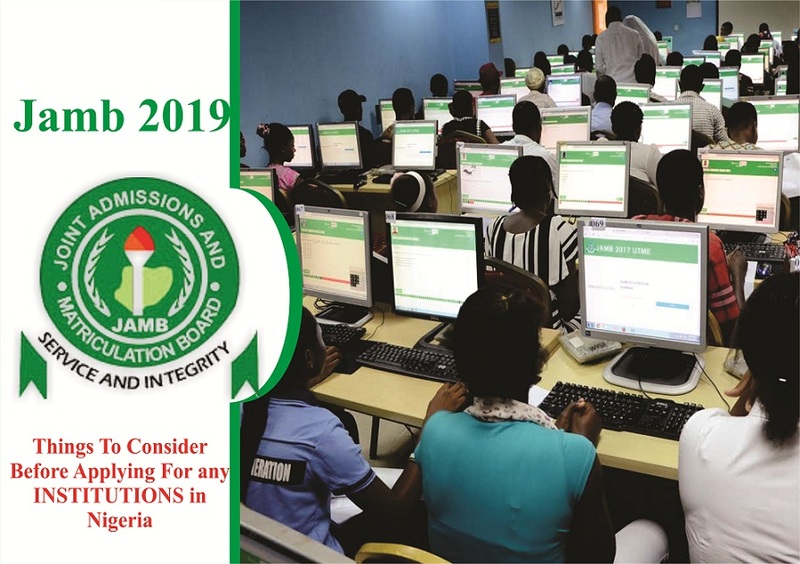 In most institutions in Nigeria, School fees are paid per semester, not per session and it is a must to pay your acceptance I compulsory fee before you will be allowed to do anything in your student portal. Unlike other conventional universities where a student can be pardoned for sometimes. And as such, you must be financially capable. Note: This article is not trying to scare you but that is the truth because most institutions are primarily targeted at the working class people and financial free families.